Named for its hilly topography, panoramic view of the city, and natural underground springs, Spring Hill / Cityview is located north of downtown Pittsburgh. Its neighboring communities include Spring Garden East Deutschtown and Troy Hill. The community has many attributes. Its location, low crime rate, abundant green areas, diversity of residents, and traditional neighborhoods all translate into a desirable area for families to raise children and for the elderly to live safely. Spring Hill/Cityview is adjacent to Interstates 279 & 579, as well as Route 28, and is five minutes from downtown Pittsburgh. Its location gives the community easy accessibility to retail and recreation in both downtown and suburban areas. Although the community had German ethnic roots decades ago, neighbors of diverse races, economics, and social status give the community a melting-pot flavor today. According to crime report statistics from the Bureau of Police, the community has one of the lowest crime rates in the City of Pittsburgh. Observant neighbors are proactive in keeping criminal activity at a minimum and officers routinely attend community meetings and interact with neighbors. Neighbors participate in the community in a variety of ways. Active neighborhood groups like the Spring Hill Civic League interact with city government to maintain the community and organize year-round activities for community families. 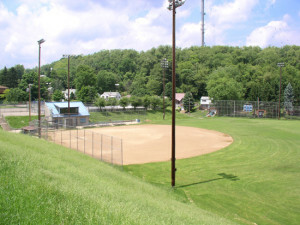 A community ball field and playground are maintained by the city. The Steel City Boxing Association offers a disciplined boxing and mentoring program to youth. Neighbors have worship opportunities at Holy Wisdom Parish and St. Michael’s, ELCA. The business sector of the community consists of Hamm’s Market, Brady’s Memorial Home, ManorCare Health Services-Northside, Cookie Cutters Hair Styling, MeMe’s Market and a host of residents who work as independent contractors from their homes. 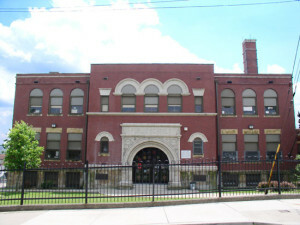 The Spring Hill Elementary School offers educational opportunities for the young families of the community. Visitors are amazed at Spring Hill/Cityview’s secluded, verdant beauty and have remarked that they were not aware of this bedroom community nestled on the hilltop. The above amenities, coupled with a glorious view of the Pittsburgh region, add to the attractiveness of the community. All in all, the 2,700 residents of Spring Hill/Cityview have chosen to live in a community that is one of Pittsburgh’s best-kept secrets!